The Makalali Game Reserve in South Africa encompasses 61,000 acres in the Lowveld region of the Limpopo Province. In the last ten years, a variety of wildlife has been reintroduced to the reserve, including lion, cheetah, leopard, elephant and rhino- making Makalali home to the Big Five. Here, exceptional riding and game viewing have been paired with top notch accommodations and cuisine to create the Big Five horse riding safari in South Africa. South Africa is known for its horse riding safaris. 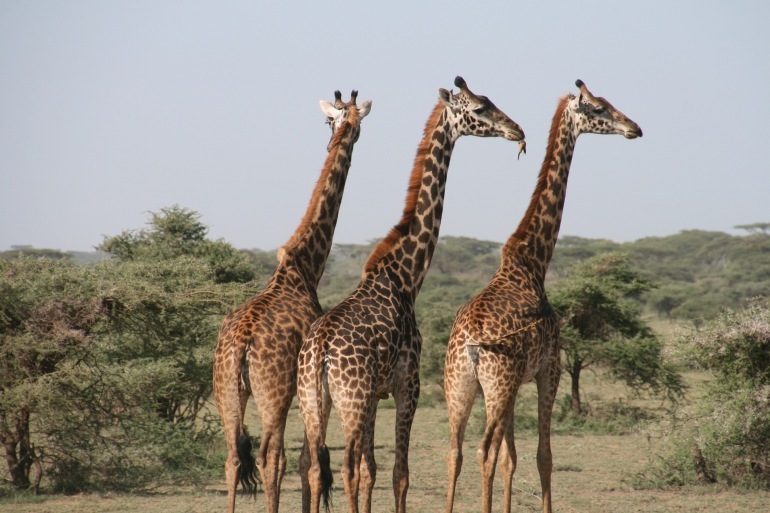 This one takes place in the Makalali game reserve in Limpopo Province, where you’ll follow meandering game trails and have chances to encounter lions, leopards, elephants, rhinos and Cape buffalo as well as to canter alongside giraffes, zebras and wildebeest. Most days are devoted to horseback rides, but game drives are also on the docket. Campsites provided lodging. No reviews yet for this trip. Browse other reviews below for Equitours . You will be picked up at preferably Hoedspruit or possibly also Phalaborwa airport by a transfer service at an extra cost. A pick up from Johannesburg OR TAMBO direct can also be arranged,note that travelling time is 5 hours. On arrival at camp sandwiches and afternoon tea and coffee awaits you. The team and your hosts are there to welcome you. They will introduce you to the safety procedures before going on your first riding safari. This orientation ride takes you through the area surrounding the camp as you unwind from your journey and forget yourself in the peace of the African bush. This is your chance to become accustomed to our horses and riding style. We might even see the first giraffes, zebras or whatever else is in the vicinity. Sundowners, looking out towards the Drakensberg Mountains, are a perfect prelude to the generous 3 course dinner, accompanied by hand-picked South African wines, which awaits you in our dining area, furnished with antique African art. The first night, with all its fantastic sounds and noises, is probably the most exciting one. Accommodation for these first three nights is in old style safari tents with en-suite bathrooms, mounted on platforms above the Makhutswe River at the main camp. You are woken with tea or coffee in the morning. After a light, continental breakfast the group will be ready to mount the horses and go on safari. The weather will create the day, but typically the morning ride is 3-4 hours and the afternoon's is approximately 2 hours. After returning from the morning ride a big lunch will await you with homemade quiches, pizzas or pancakes, freshly homemade bread, different types of salads and greens, meats and cheeses. After lunch the hardest time of the day has arrived, siesta. You can spend your well deserved rest in your room or at the swimming pool or may be you would like to improve your knowledge about Africa by reading one of the books provided in our library. at a beautiful sundowner spot where, drink in hand, you enjoy an often colorful sunset! Another exciting day awaits you. The morning is similar to the one on day 2, but today you will go on an exciting drive to the buffalo project in the afternoon. Your guide will take you to the furthest northern corner of the reserve, all along the Makuthswe River to hopefully find the beautiful beasts. Here you enjoy your sundowner followed by a night drive back home. our merchandise material. From fleeces and sweatshirts to shirts, T-shirts, golf tops, hats, beanies to bath utensils there is a beautiful and fashionable selection of safari outfits available. Another beautiful morning ride followed by a delicious brunch. In the afternoon we pack our bags, leaving for another camp, staying away for three nights. The luggage will be brought by vehicle, whilst you set off on horseback. Riding south, you will pass between the twin rock formations of Lion and Leopard Hill with baited breath. The gently undulating roads in this area lend themselves to long easy canters. Giraffe, Zebras or Wildebeest may pick up the pace and run by your side, elegantly maneuvering through the veldt. Beacon Rock, our fly camp, is situated at a giant rock formation from where you can overlook the whole Lowveld escarpment. A quick scramble up to the top rewards you with a spectacular panorama over the whole reserve and the perfect vantage point to witness a blood red sun fall behind the looming Drakensberg Escarpment. Under the stars around a campfire and surrounded by the horses, spend the night listening to the call of the hyenas or jackals, which might visit in the night. Steaks or chops, cooked over the open fire with baked potatoes and salads are the perfect fare to help us into a deep sleep tonight. Waking to the rich colors of the sunrise the fire is revived for coffee and breakfast before embarking on your longest ride. Entering the Makalali Private Game Reserve, dominated by huge open planes you might find yourself cantering next to giraffes, zebras or wildebeest. Spectacular views, over big distances show you the way to XiDulu, your camp for the next two nights. XiDulu is built at the edge of a dam with a resident pod of hippos. Enjoy the game from the deck of your chalet or the viewing platform or even better whilst enjoying the infinity pool. XiDulu’s rooms are all equipped with inside and outside showers, baths, aircon and a big veranda. Elephants often come for a swim during the day, whilst at night lions and hyenas are often seen or heard near the camp. The afternoon siesta is followed by a game drive. Your guide is a very well known tracker and guide who knows all the native stories about the bush and the wildlife. In an open top Land Rover he will follow the directions of the signs left by the big cats during the day. After a long slow Gin watching the sunset, the drive continues into the night where, with luck, some of the nocturnal wildlife will show its face. Bushbabies, owls, maybe even a leopard, will complete your day’s excitement. Dinner is served in the dining area or outside around the fireplace under the stars at the waters edge. The team in their usual fashion will be responsible for your culinary experience at XiDulu. path. At the top of the hill you pause for thought, as mile after mile of unspoiled Africa stretches away before you. The afternoon is open to either join another irresistible game drive or to go on another ride. After a light breakfast we head back to the main camp, leaving XiDulu behind. What will we see on our way? This is always open to the wildlife and tracks of elephant, lion, rhino, and giraffe determine your path. At home the team eagerly awaits your exciting tales whilst we enjoy another fantastic lunch. The last sundowner on the open plain will be sad, but beautiful, impressive and absolutely unique. The African fever might have caught you as well and the goodbye can be hard. For your farewell dinner your host chooses something special - perhaps game fillets like kudu or eland served on pasta with sherry sauce. An early wake up will get you on the horses quickly to enjoy a short, sporty ride before the transfer to the Airport. A 50% deposit and insurance is required. Prices are based on the dollar/pound exchange and are subject to change. Ride price is set, guaranteed, and final at the time deposit is paid.